Club Lingumi is our playful, interactive English learning app for families. The app is based on over two years of research and development. Lingumi is a pre-school English learning company: we make learning English more fun, more affordable, and more effective for families with kids aged 2-6. On this blog, you can read about the story behind Lingumi, or 12 quick questions about Lingumi answered. We also have an article about 'kids and screens' from a Cambridge University neuroscientist. Club Lingumi is our playful, interactive English learning app for families. 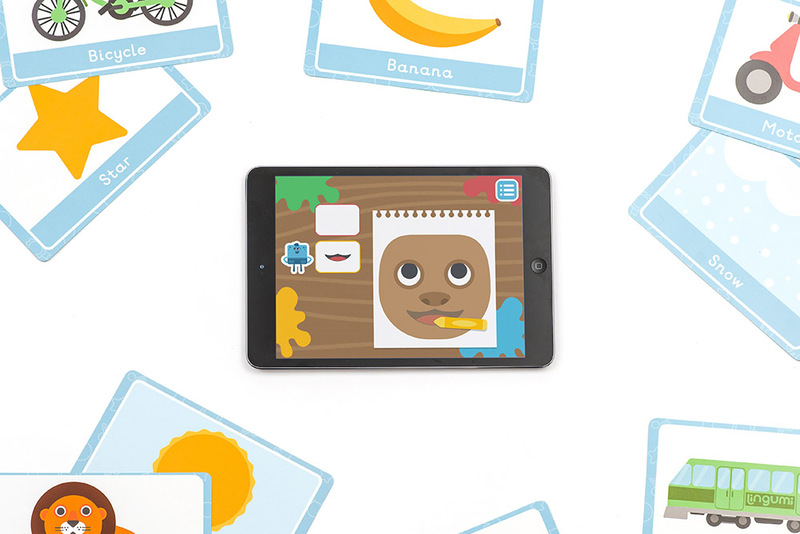 The app is based on over two years of research and development, working with academics, teachers, parents, and, of course, toddlers, to develop a learning method that's playful, effective, and creates a foundation of English as a second language for curious young learners. In the app, we only open one new lesson each day. We do that to help families create a healthy introduction to screen time. We don't think screens are good or bad on their own - they're a tool, and it's about how you use them. Each lesson consists of 5-6 fun, visual games, built by our team of designers and developers. Games teach everything from single nouns, like 'dog', to verbs, adjectives, and even allow your child to create their own phrases, combining words together to make something...like a 'jumping blue elephant'! It's a lot of fun, but it's also creating an understanding for your child about how the English language really works, how it's constructed, and not just teaching them to read, or repeat song lines. This is real learning, but it feels like playing. Every family can use Club Lingumi, whether you have no English at home and don't speak it at all, or you're an English-speaking family and want to encourage speech and vocabulary development. If your child is finding the early lessons too easy, we can always move them forward, too. For parents who don't speak English, Club Lingumi sends you instructions and information in your own language, and you can still be an active part of the experience, playing and learning with your child. After the free trial, Club Lingumi costs the equivalent of €8.99 per month - like a few cups of coffee, and about 1/3 of the cost of a private English class, for a whole month of learning. The majority of families play 2-3 times per week, although you can play one lesson every day if you want to! Children can repeat their favourite games and practise their favourite words too, in the 'Free Play' and 'Sticker Book' area of the app. They'll not only learn hundreds of words, but also to answer questions, understand social language like 'hello' and 'goodbye', and build sentences, all without needing to be able to read. For older children, they can also begin learning their phonics and letter shapes. Try Club Lingumi for free today - you can learn more and sign up here.